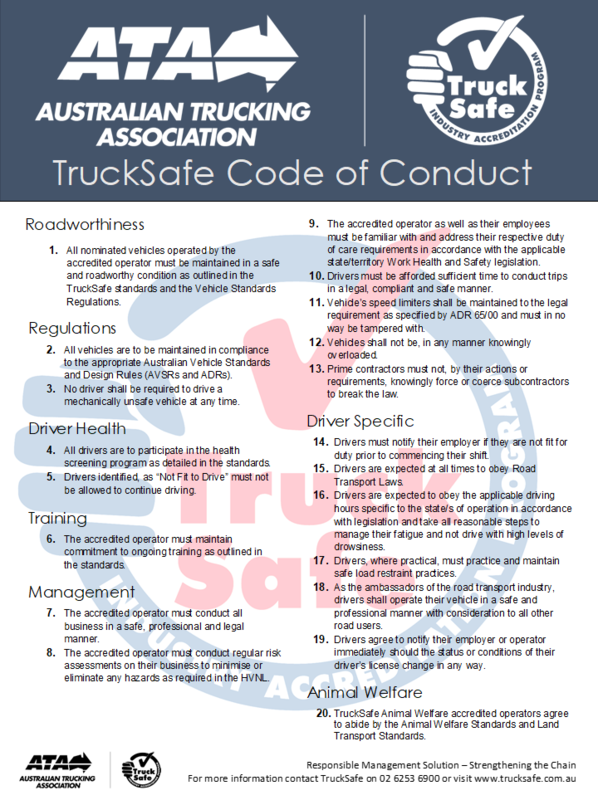 The TruckSafe Business Rules and the Code of Conduct govern the terms and conditions for TruckSafe members. When applying for membership the applicant agrees to abide by these rules. Applying to participate in the TruckSafe Industry Accreditation Program. The terms and conditions for participation in the TruckSafe Program.